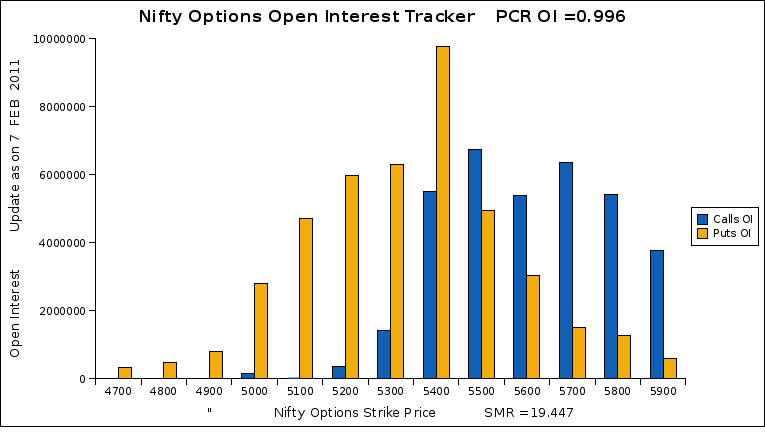 Still 5400PE Nifty option strike price holds higher open interest among the various strike prices. Put writers are still under the bullish ray of hope. may be it was writing and now it is covering ? However you can justify how sure are you of writers or buyers by just seeing OI ?